The Hinckley Southwest junior is one of the Hinckley companys early forays in fiberglass construction. She has the visual appeal of her wooden sister ships with added benefits of low maintenance and strength afforded by FRP construction. The hull and deck are composed of solid fiberglass and contain no core which can be problematic with other builds of this vintage. She has been freshly painted and her bright work sparkles. 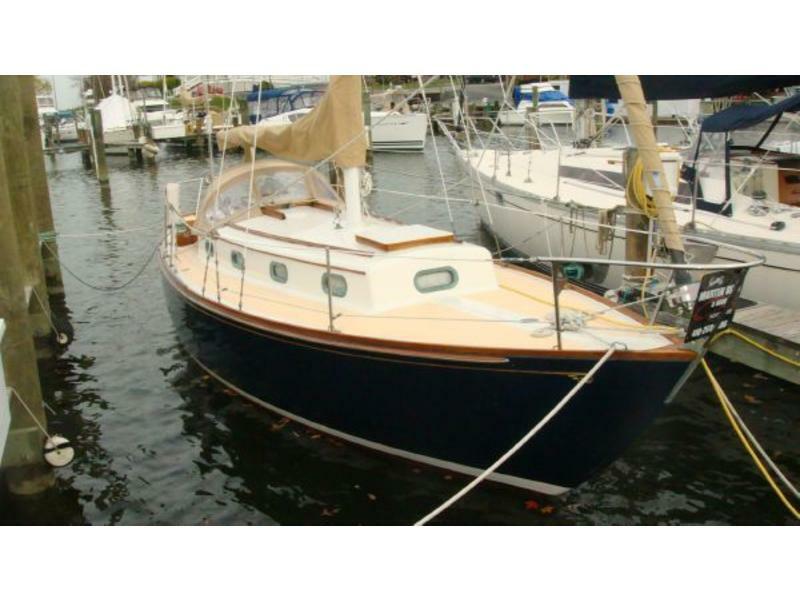 Stormy is an excellent value and is highly recommended for someone looking for a great buy on a classic Hinckley.